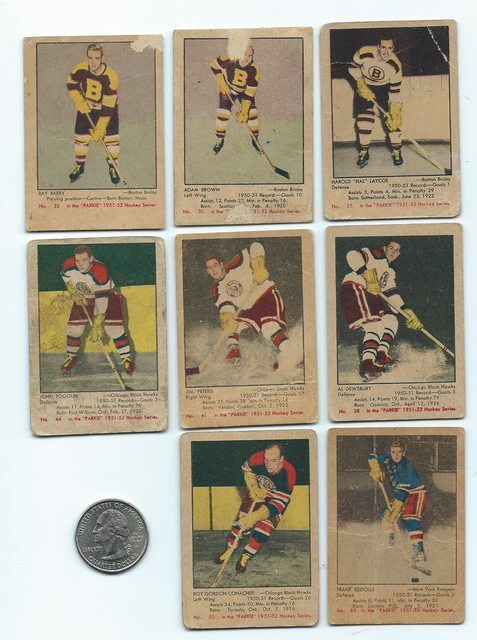 1951 Parkhurst 105 cards in this set with all original six teams. Small cards with blank backs. I'll show all eight cards that I have 7.6% complete.